You send us the property photos and we stage them with beautiful virtual furniture and decor. You send us property exterior photos, we enhance them with sunny skies, landscaping and more. Virtual renovations like flooring/paint changes, kitchen remodels, backyard improvements and more. For homes under construction, we help you preview them by creating photorealistic 3D models. I'm happy to report we are going under contract. 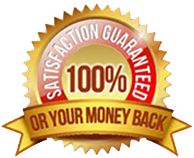 No doubt your virtual staging helped me sell my family home. 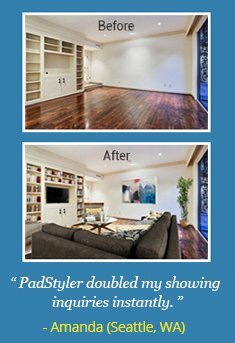 PadStyler virtual home staging doubled my showing inquiries instantly. I'm a client for life.